Located at 121 Eyre Street, with a front door that you can’t fail to miss, Foodhall is Sheffield City Centre’s first ‘pay as you feel’ cafe. 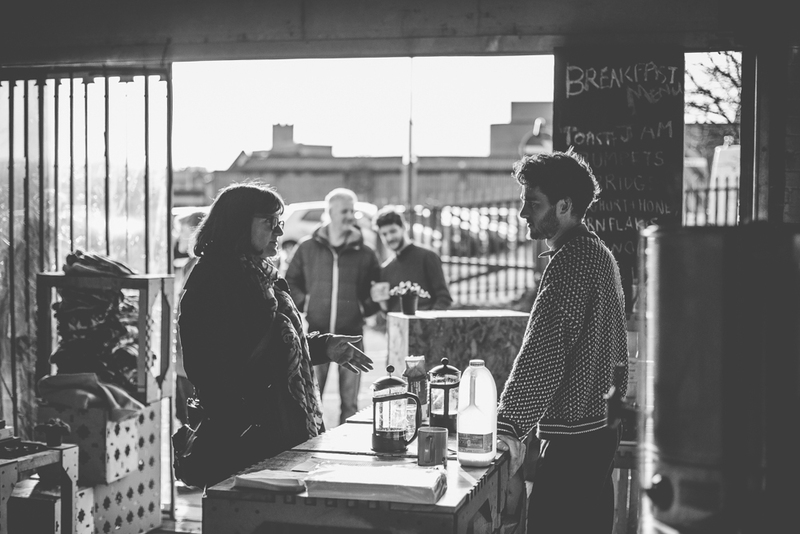 Set up by students from The University of Sheffield Foodhall is a ground up operation. Foodhall is communal dining and events space with inclusion at its heart. 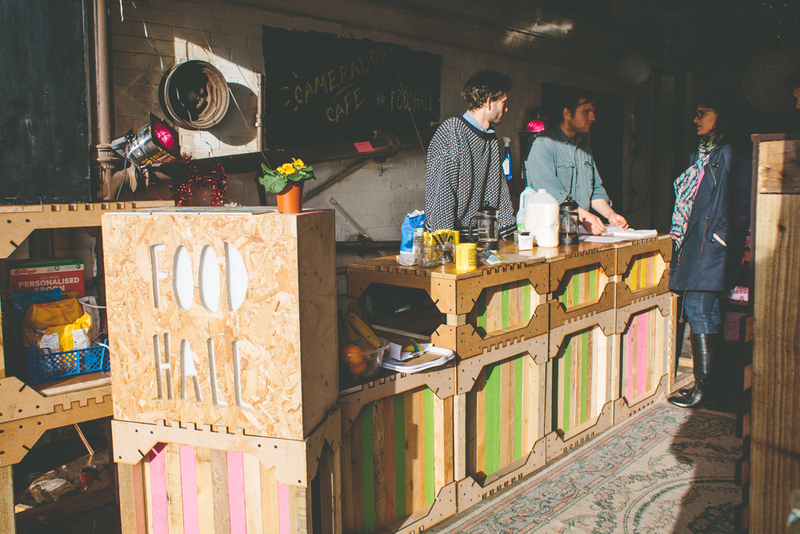 Foodhall is reclaiming Sheffield’s public spaces to instigate wider public engagement through food. 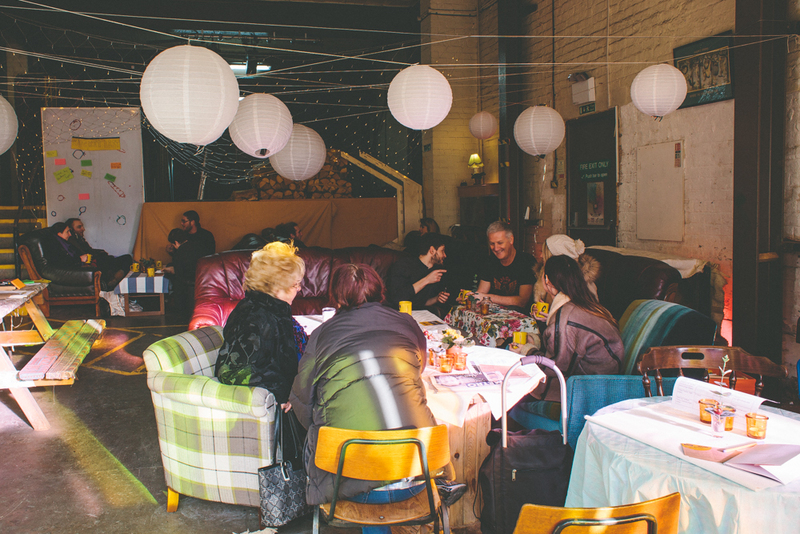 They aim to tackle food waste, food poverty and social isolation. 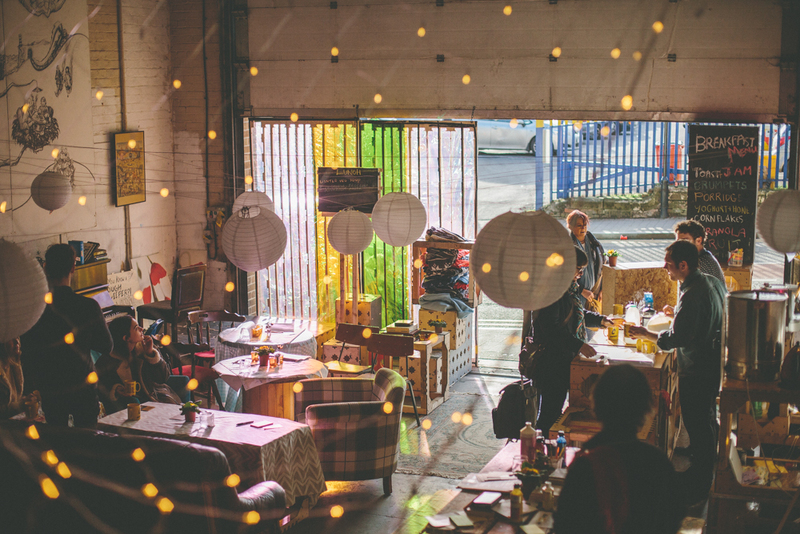 Foodhall is a not-for-profit social enterprise which is volunteer run. Founded by Louis Pohl, Jamie Wilde and new director Samuel Atkinson, these University of Sheffield graduates utilise their expertise in Architecture and Town Planning to create wonderful spaces of equality and inclusion. ReNew were able to support Foodhall with a small grant for the purchase of kitchen equipment, furniture and repairs to the building. Jamie Wilde, Louis Pohl and Samuel Atkinson.